Multivitamins are convenient, which is why about half of Americans routinely supplement with them. Just pop one of these pills daily to cover your nutritional needs and boost your health; at least, that’s what claimed. But do multivitamins really work? Or are they wasting your hard-earned money, and maybe even hurting your health and well-being? 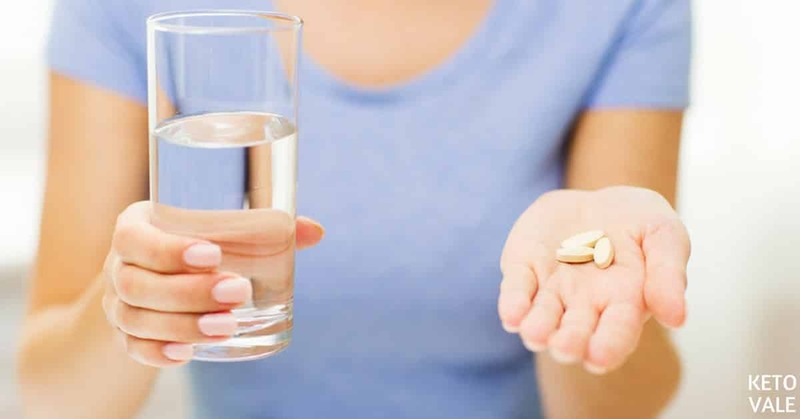 In this article, you’ll discover the unbiased, evidence-based truth about multivitamins, so you know whether you should take one to support your health, boost your energy levels, and stave off sickness. Let’s dive in! Is Going Keto the Solution? There are 13 types of vitamins and at least 16 minerals that are essential for your body. Those are involved in many crucial body functions, including energy production, supporting the immune system, the creation and regulation of hormones, and more. Deficiency of these nutrients can have severe side effects and even be fatal. Examples of deficiencies that can be lethal are lack of vitamin D (rickets), vitamin C (scurvy), vitamin B1 (beriberi), and vitamin B3 (pellagra). Subclinical deficiencies can also have severe consequences on your health. For example, not getting enough vitamin C weakens your immune system, which makes you prone to various diseases. Another example is the deficiency of vitamin D. It subjects you to illness such as cancer, cardiovascular disease, diabetes, infectious diseases, and dementia. This is worrisome since more than 77% of U.S. adults are deficient in this crucial vitamin (1). Can You Get Enough Vitamins From Food Alone? While it’s often claimed that you can get enough vitamins and minerals from food alone, the truth is, you probably won’t. This is so regardless of whether you eat nutritious diet. For example, research published in American Journal of Clinical Nutrition found that at least half of the U.S. population does not to consume the recommended dietary allowance (RDA) for magnesium, calcium, zinc, vitamin A, and vitamin B, and 33% of the people fail to meet the RDA for folate (2). What’s more, research suggests that the average intake of vitamin D, vitamin E, and vitamin K are also suboptimal, and that nearly all of our diets are deficient in potassium and choline (3, 4, 5, 6, 7, 8). Why’s that? Well, one reason is that most people don’t eat enough nutritious foods. But even if you do, you still can be deficient in crucial vitamins and minerals due to various reasons. Poor nutrient absorption, which means your body doesn’t optimally uptake a particular vitamin or mineral, even though you consume enough of it. Soil depletion, which affects the nutritional value of food. High stress levels, which increases nutritional needs. Over-filtration of water, which strips away certain crucial nutrients such as magnesium. An indoor lifestyle, which diminishes your vitamin D levels because vitamin D is most efficiently obtained through exposure of bare skin to sunlight. The ketogenic diet is linked to many health benefits and following this eating style tends to pair with the consumption of lots of nutritious, health-promoting foods. But this doesn’t mean you’ll meet all your nutritional needs. It’s possible to have vitamin and mineral deficiencies even when you follow a ketogenic diet. For example, two deficiencies that are ​reported while on a ketogenic diet are lack of vitamin C and selenium (9, 10, 11). ​​If you follow a well-formulated ketogenic diet plan with a variety of low-carb veggies and fruits such as berries and avocados, you are ​less likely to ​experience vitamin and mineral deficiencies. ​A true well-formulated ketogenic diet always has a good amount of protein, healthy fats and a good amount of low-carb veggies and leafy greens. That's what makes keto healthy and sustainable. Unfortunately, ​some people use keto as an excuse to eat more bacon and cheese and avoid veggies instead of ​making it a well-rounded diet. Some might think that they can get away with eating whatever as long as they keep the carb low or 'if it fits their macros'. 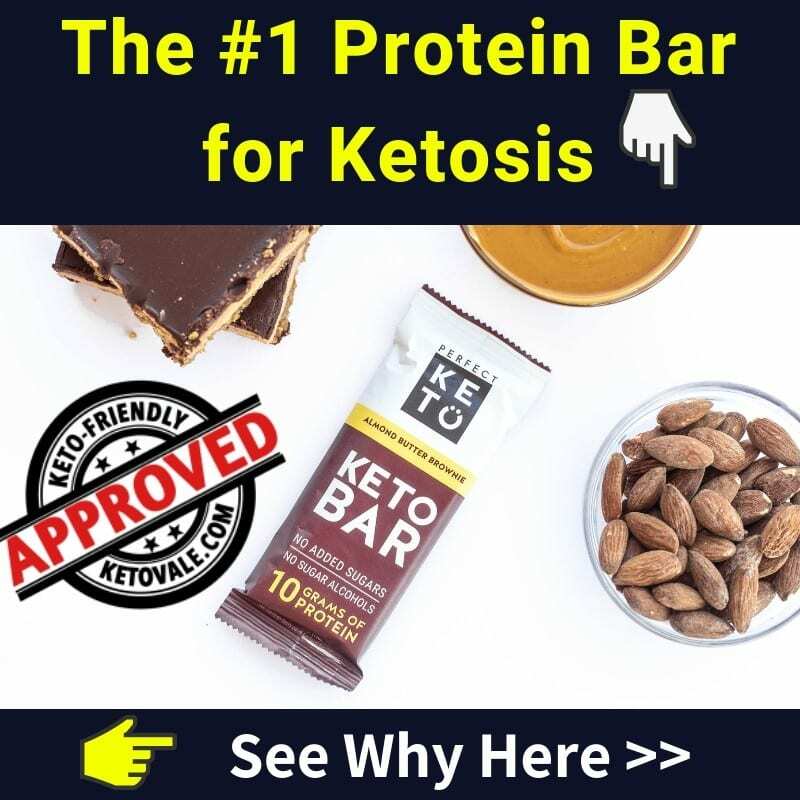 If you want to make keto a sustainable and healthy way of living, make sure to take advantage of all the healthy whole keto foods that are on this diet. If you want to take your keto lifestyle to the next level, start adding these keto-friendly vitamins and green supplements. ​It Can Be Extremely Valuable to Supplement With a Multivitamin! It ensures that you meet your daily vitamin and mineral needs, which boosts your health, increases your energy levels, and helps stave off sickness. For example, studies show that multivitamin supplements may protect us from vital illnesses, including heart disease and various types of cancer (12). More so, one randomized, placebo-controlled study found that multivitamins may even help you lose weight (13). In the study, the researchers found that when obese Chinese women supplemented with a multivitamin daily, there was a significant reduction in waist circumference, body weight, and body fat percentage after 26 weeks. The reason is that certain nutrient deficiencies can hamper metabolism, increase hunger, and decrease fat oxidation. By fixing those, it’ll be easier to obtain and maintain healthy body weight. Not all multivitamins are created equal! Most supplement companies produce junk multivitamins that contain nutrients in an ineffective form. Besides, the nutrient balance in most multivitamins is out of whack, too. They contain too little of the bulky nutrients such as vitamin C, vitamin D, vitamin K2, and magnesium. And instead, they incorporate large amounts of potentially risky nutrients like manganese, iron, and folic acid, which possibly can lead to toxicity. That’s why it’s crucial to select the right multivitamin if you want to boost your health and well-being. So, to save you hours of research, we’ve done all the heavy lifting and created an unbiased list containing the best multivitamins on the market. 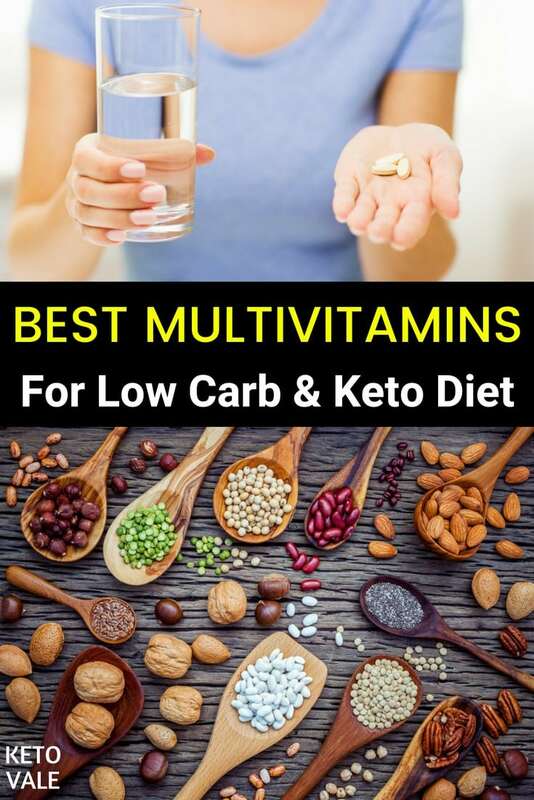 The following multivitamins are keto-friendly and provide you nutrients of the highest standard. 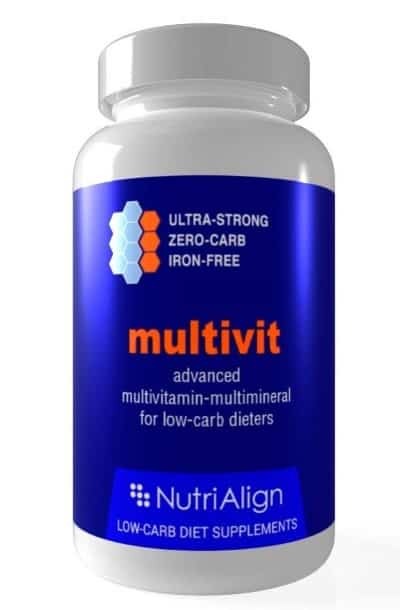 Nutri-Align Multivit is explicitly designed to meet the needs of low-carb and ketogenic dieters. This multivitamin scores high in many crucial vitamins and minerals. It contains extra green tea extract, which raises metabolic rate, supports energy levels, aids fat burning, and promotes weight loss. It also includes grape seed extract, which supports blood flow and heart health. Nutri-Align Multivit is manufactured in line with Good Manufacturing Practice (GMP). Free of carbs, sugars, sweeteners, soy, gluten, lactose, and sulfites. How to Use: Take three caps a day. Where to buy: ​Shop Now! 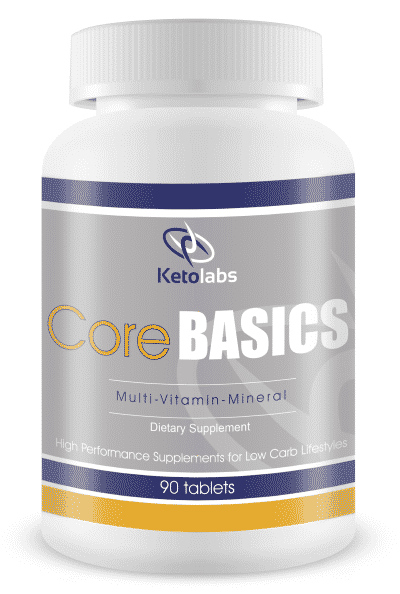 Core Basics by Ketolabs is a multivitamin explicitly designed for low-carb and ketogenic dieters. It contains a whole food blend of 42 fruits and vegetables and a broad spectrum of vitamins and minerals. It also contains ginkgo biloba, which is the most commonly ingested herb to aid brain health. And it contains digestive enzymes, which helps with the uptake of the vitamins and minerals. Contrary to most multivitamins, Core Basics by Ketolabs is free of the mineral iron. This is great because most keto dieters already consume enough of it. If we would supplement with extra iron, we’re likely to get too much of the mineral, which can lead to toxicity. How to Use: Take 1 - 3 tablets daily. Multivitamins in pill form are awesome as they delivers heaps of benefits for your health and well-being. But did you know that there’s a superior option? It’s true! And what we’re referring to is a greens powder. A greens powder contains nutrients in whole food form, offers an enhanced absorption rate, allows more room for beneficial nutrients, and is a convenient alternative for those who have difficulties swallowing pills. Enjoy the ​organic fruits and veg​gies without the carbs! 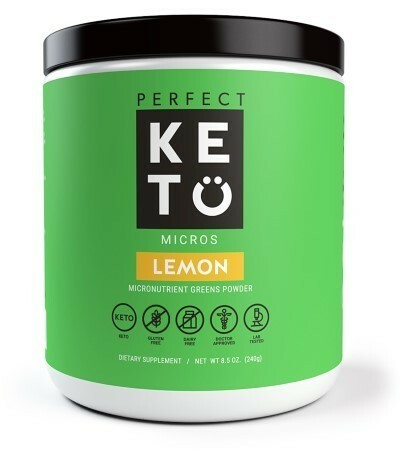 When it comes to green powder products, there’s one product that stands head and shoulders above its competitors: the Micro Greens by Perfect Keto. It not only contains 26 nutritious fruits and vegetables, but also MCTs and digestive enzymes that allow your body to absorb all the nutrients without unwanted spikes in blood sugar or insulin. It’s also free of fillers and additives. Available in two delicious flavors. ​And it mixes perfectly with water, almond milk, coconut milk, shakes, or any low- or no-carb drink. No wonder most people are raving about this product, as you can read here! Mix one scoop of Keto Micro Greens with water, almond milk, coconut milk, shakes, or any low- or no-carb drink. ​Looking For ​Gender-specific ​Multivitamins for All Diets? 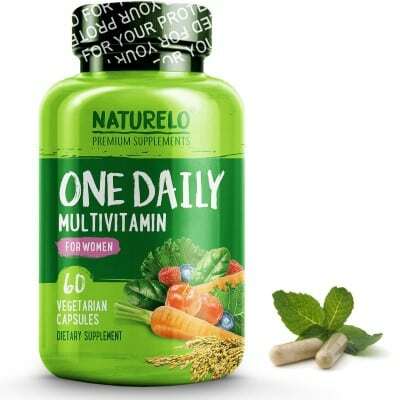 Naturelo offers a high-quality multivitamin specifically designed for women. It contains extra folate, which is especially important for those who’re conceiving, giving birth, or are planning to give birth. Most vitamins and minerals found in Naturelo come from whole foods, which leads to a superior absorption rate. For example, the vitamin C comes from organic acerola cherries. The vitamin E from organic rice bran. The calcium from Algae. And the iodine from organic kelp. All whole foods found in the multivitamin are derived from organic fruits and vegetables. Besides, the multivitamin is free of GMO, soy, gluten, artificial colors, sweeteners, stabilizers, and preservatives. Free of GMO, soy, gluten, artificial colors, sweeteners, stabilizers, and preservatives. How to Use: Take one capsule daily with a meal. ​It’s an excellent choice for men due to various reasons. One of them is that it contains extra zinc, which is a crucial mineral for the production of various male hormones including testosterone. Besides, it contains vegetables, spices, and herbs specifically selected to support prostate, brain heart, and eye health. These include acerola cherry, algae, black currant, beets, blueberry, broccoli, carrots, cinnamon, cranberry, ginger, ginkgo biloba, grapefruit, grapes, green tea, kale, kelp, lichen, marigold, pomegranate, raspberry, rice bran, spinach, tomatoes, and turmeric. 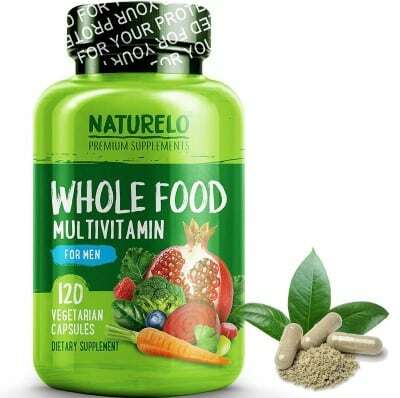 ​All whole foods found in this multivitamin come from organic fruits and vegetables. The multivitamin is free from GMO, soy, and gluten. And the product does not contain any artificial colors, sweeteners, stabilizers, or preservatives. Take four capsules daily with a meal and a full glass of water. If you’re looking for a high-quality multivitamin to boost your health, increase your energy levels, stave off sickness, and support your figure, then there are a lot of multivitamins you can choose from. Unfortunately, most of them contain nutrients in an ineffective form and have a screwed nutrient balance. The good news, however, is that there are four top-notch multivitamins on the market, which we’ve outlined above. 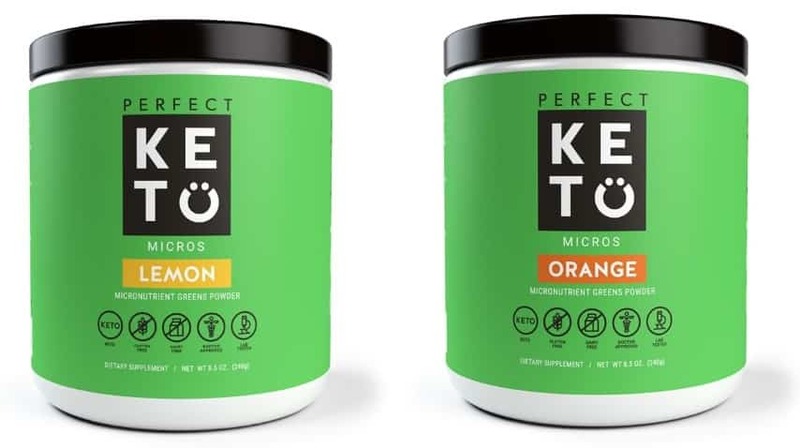 While they’re all excellent options, if you want to get the most bang for your back, then the Micro Greens by Perfect Keto is the best choice. So, if you want to boost your health and well-being, try the Micro Greens by Perfect Keto now by clicking the button below. You’ll be glad you did. ​​​Besides following a well-formulated diet and exercise, taking ​multivitamins can be very essential to your health and well-being. Regular medical check-ups are also helpful to make sure you are staying healthy and might help you find potential health issues or ​nutrient deficiencies before they become a problem. Enjoy this guide? Save to your Pinterest for later use!